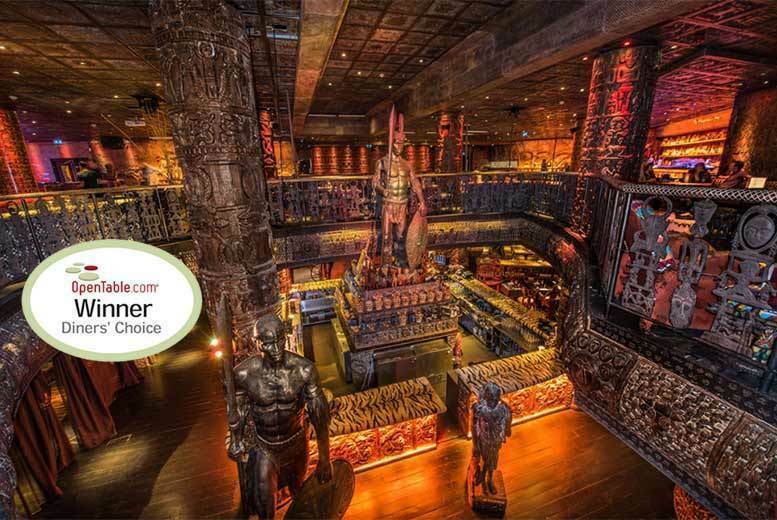 Enjoy a night at celeb hotspot Shaka Zulu with a three-course meal for two plus a sparkling cocktail each. Recipient of the Best Interior, London Bar and Club Award & Diner Choice Award. Fab main dishes include chermoula roasted sea bream, whole baby chicken, or even grilled zebra for a small surcharge! Enjoy live dancing at London’s largest South African restaurant. Served seven days a week (see times below). Close to Camden Town tube.